Board and batten siding in Madison doesn’t get any better than Feldco. Our board and batten siding offers a unique style that’ll surely transform the look of your Madison home. What exactly does board and batten siding look like? It’s a vertically installed siding that uses alternating width panels to provide a clean look with added depth. Your home will stand out from the rest and people will envy your home. You can use board and batten siding for your entire home or as a complement to other siding styles. Plus, when you choose Feldco, you’ll be able to choose from a wide variety of colors to match your home as well as wood grain finishes to get the look of wood without the maintenance. 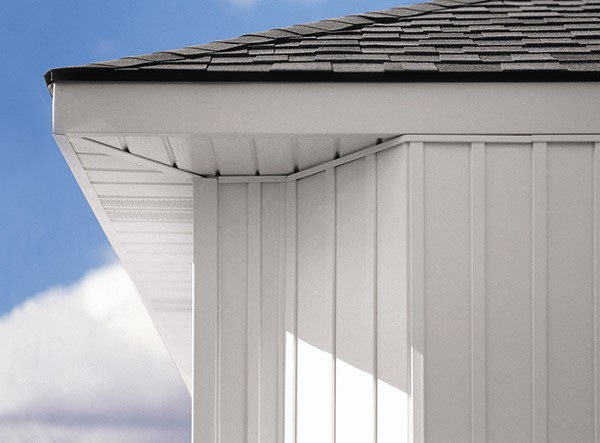 One of the best features of board and batten siding from Feldco is that it requires almost no maintenance. Our vinyl siding, unlike wood and aluminum, will never warp, rot or crack, leaving you with a beautiful home year round. The colors are baked in during manufacturing so you’ll never have to paint or stain your siding to keep it looking good. It’s resistant to fading from the sun as well. The only maintenance you’ll need to perform is a simple cleaning about once per year. Another reason why people choose Feldco for their board and batten siding in Madison is because ours is extremely energy efficient and will help lower your heating and cooling bills. Our siding features a 365 ComfortWrap backing system that keeps unwanted drafts out of your home and your heated and cooled air in your home. You’ll save energy and money by not having to rely so heavily on your furnace and air conditioner to keep your home comfortable. If you’re looking for a way to give your home some character and separate it from the rest on the block, board and batten siding is a good route to go. We’ve been providing Madison homeowners with the best products and service for many years and would love to help with your board and batten siding project.